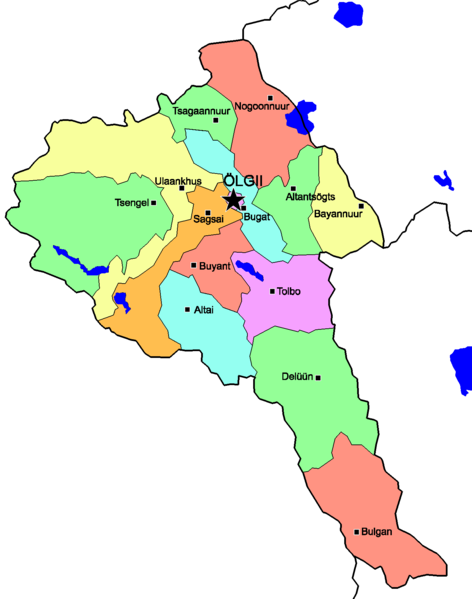 Olgii has a domestic connection with Ulaanbaatar and occasional flights to Hovd and Ulaangov. There are plans to start a flight to Almaty, Kazakhstan. Two airlines currently fly between Ulaanbaatar and Olgii; AeroMongolia (http://aeromongolia.mn/) and Hunnu Air (http://www.hunnuair.com/en). None of these airlines have connection agreements with any international airlines or are listed on internet travel websites; therefore, you will have to book these flights separately. You can book directly on the website, but not all seats are sold online. It is best to buy in person at the Ulaanbaatar office or have a tour operator book your flight. Driving to Olgii is surprisingly popular with several hundred people a year passing through on the Mongol Rally (London to UB, http://www.theadventurists.com/mongol-rally-more-info) and Mongol Charity Rally (Same route, but bigger cars, http://mongolia.charityrallies.org/). Neither has an official route, though the Tsaagannuur border crossing is the most popular point of entry. There are paved road to the Mongolian border, then no pavement until Ovorkgangai, 1000 km from Olgii (plans to paved by 2017). 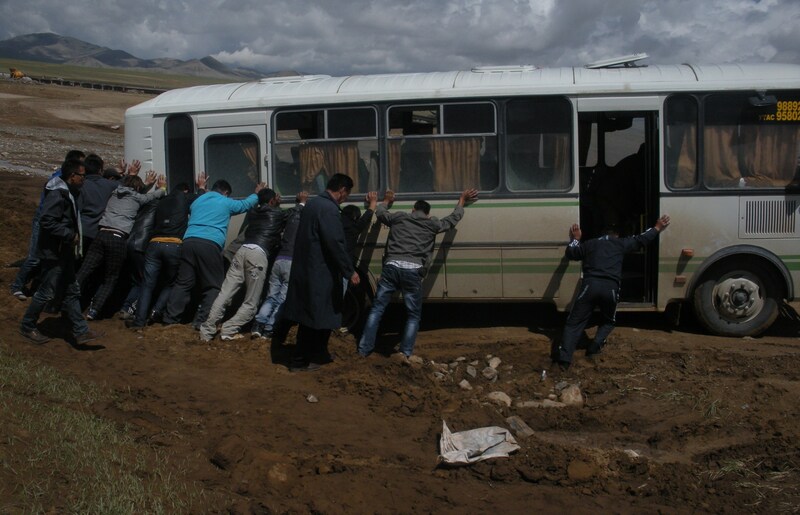 The buses between Olgii and Ulaanbaatar have recently been upgraded to a Coach-style bus as the paved road nears completion. The last gap between Hovd and Tolbo is expected to be finished in 2019. Currently, the bus leaving 3 times a week, on Monday, Wednesday, and Friday (80,000 MNT). The drive time typically 24 hours to 36 hours with scheduled stops at road-side cafes every few hours. There are weekly coach buses Astana, Kazakhstan and daily mini-bus service to both Almaty and Astana, Kazakhstan (requires Russian transit visa). Both cost 90,000 MNT as of 2017. You can also get a shared jeep to any soum (county) in Bayan-Olgii or to Hovd (Ховд) daily (prices vary). This is probably the most important decision to make when visiting Mongolia. Your guide is to be your friend, translator, concierge, and host. They are not only going to be part of almost all of your experiences, but they will also affect interactions with other Mongolians. Their grasp of English is less important than their personality and understanding of the local area. 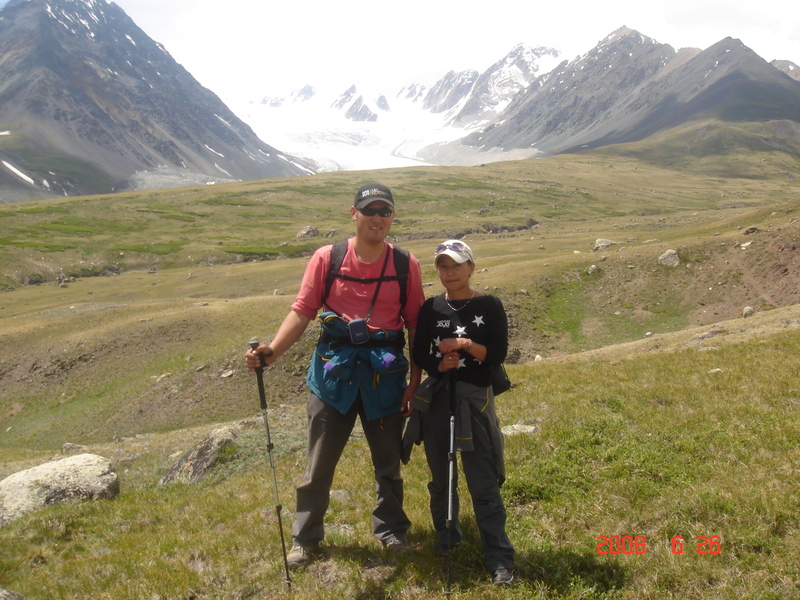 We recommend picking a local guide when visiting Bayan-Olgii as opposed to Ulaanbaatar or foreign guides that might not be familiar with customs and language of local Kazakhs, Tuvans, Uriankhai, and Dorvod ethnicities. The main categories of tour packages are personalized tours, fixed date tours, and unguided tours. The personalized tour is for individuals or groups that wish to design their own custom itinerary and dates. This tour is usually the most expensive as it requires its own guide, driver, and cook, though offers the best chance to see exactly what you want. Large groups can cost the same for customized or fixed date, though discounts are available for allowing extra people to join. Fixed dates offer a set price per person with a maximum number of guests, though the price doesn’t increase if the number is lower. The dates are usually built around specific events and ideal flight schedules, and offer the best combination of activities. Unguided tours are designed specifically for backpackers and budget travelers. These packages provide a limited number of services like stay in a ger in Olgii, ride to and from the National Parks on specific days, and help with permits, visas, and flights. For unguided tours, there is no guide or cook. Extra services like horse and camel rides or camping equipment can be arranged on a la carte basis. Converting foreign currency into Mongolian Togrog in Olgii can be easy if you follow a few simple steps. The first is to try to convert larger bills from major currencies: US Dollar ($20 or larger), Chinese Yuan, Euro, and the Russian Rubble. 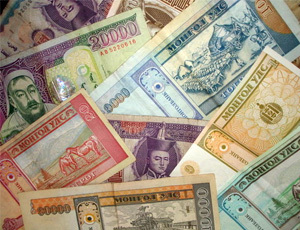 Lower denominations can have different exchange rates. Next, you should try to keep your money in as pristine condition possible. Some banks will refuse any bill that has a crease. You should also be prepared to try 2 or 3 banks. If you want to exchange on a Sunday, can’t exchange at a bank, or have Kazakhstan Tengi, Korea Won, or Japanese Yen, there are money changers near the entrance of the sports palace (look for a row of small shops next to the large red dome). ATM machines accept most foreign credit and debit cards (as long as you tell your bank you are in Mongolia). The fees charged by Mongolian banks are low, though your bank may add a large fee to the transaction. All machines have English as an option and dispense Mongolian Togrog. Only a few shops in Olgii accept major credit cards (Visa, MasterCard, UnionPay, and sometimes American Express). Discover is not accepted anywhere in Mongolia. All tour operators and most of the larger hotels and restaurants accept credit cards. Moneygram and Western Union are available in Olgii. Western Union is provided by XAAH БAHK (Khaan Bank) located next the government building on the square. Moneygram is available at Капитрон банк (Capitron Bank) in the far southeast end of the post office building on the square. Like most other Asian countries, tipping is rare in Mongolia. You should not tip restaurants, bars, hotels, or taxis anywhere in Mongolia, and you should expect exact change from all of these businesses. However, you can and should tip your guide and driver. A large portion of their pay comes from tips. There is no recommended rate; tip as much as you feel is appropriate. Unlike the ger camps and guest houses that deal exclusively with foreigners, hotels serve mainly other Mongolians. This means they usually do not serve breakfast or clean the room after each night. Mongolians prefer security over a made bed. On the other hand, they tend to have consistent hot water. You should be prepared for rooms to be out of toilet paper or other small inconveniences. Also, most hotel receptionists do not speak English. Ger camps and guesthouses tend to be much better prepared and are more likely to speak English. 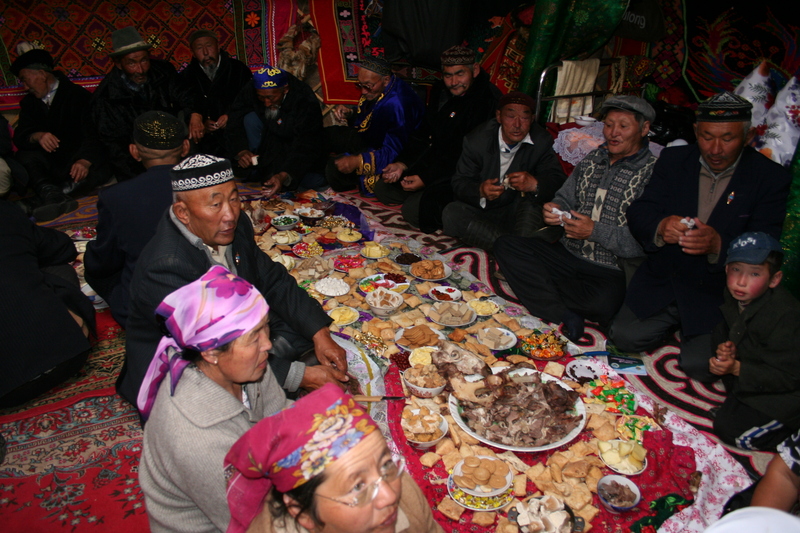 Kazakh food is heavily influenced by Islam and available food sources. All meat meets Islamic Halal standards, which is similar to Kosher, except horse is allowed. Traditional meals consist of horse, goat, or sheep with dairy, flour, onions, potatoes, and spices. Meat is often boiled for several hours, or grilled until very tender. Kazakh have several delicious meat dishes. Kaz is a horse sausage that is eaten throughout the cold winter when meat preservation is important. Besbarmak (“five fingers”) and sirne are meat, vegatable and flour dishes served for large gatherings. They consume many dairy products including kumiz (fermented mare’s milk), traditional cheese, butters, and hard curds. In Olgii, you can also find Turkish, Uighur, Mongolian, and European food choices. It is recommended that you bring any prescription drugs with you. There are pharmacies with Russian and Chinese made medications that don’t require a prescription if you absolutely have to get some meds. Olgii has a large hospital with many doctors and nurse on staff and has improved greatly over the years, though it falls well short of the standards of a developed country. Emergency flights to western quality hospitals in the capital are possible. Due to the harsh winters, there are few contagious diseases. 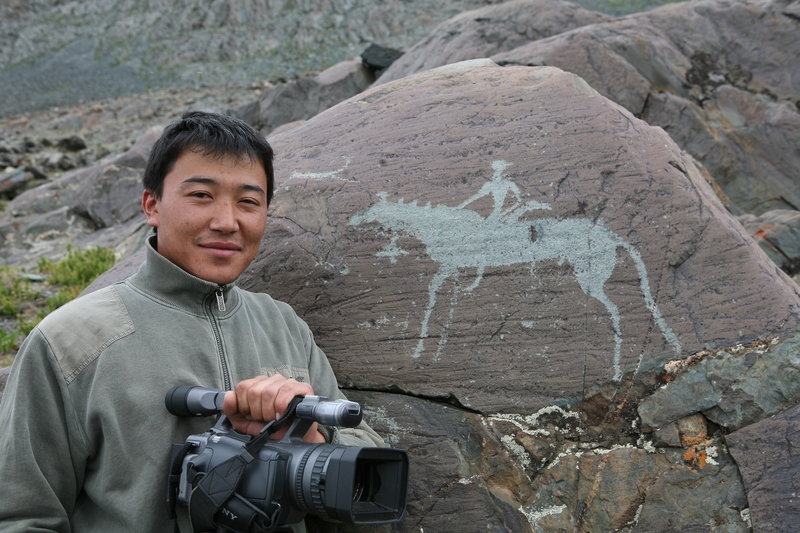 Mongolians and Kazakhs differ is some important areas. Kazakhs follow Islamic food and cleanliness rules closely. They do not eat pork and usually don’t drink alcohol. They also always take their shoes off inside, are almost obsessive about cleaning, and wash their hands and face several times a day. They also share many cultural customs with Mongolians. It is rude to show the bottom of your feet, touch food with your left hand, and to throw anything to a person or point at someone. You should also shake someone’s hand and say “oochlaaray” (sorry) if you step on their foot. Kazakhs, like Mongolian’s believe that they have an obligation to ensure that no one ever leaves their house hungry or thirsty. Don’t worry though, as a foreigner you will not be held strictly to all the rules, and guides will happily help you out. so useful.hehe.thanks for your share. What’s up, I read your new stuff regularly. Your humoristic style is awesome, keep up the good work!